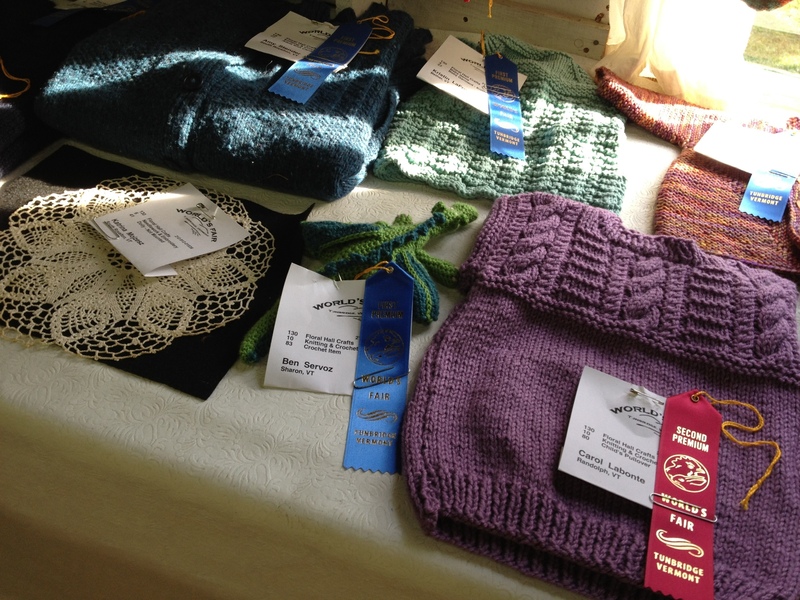 No “best in show” but not too shabby for a first year. 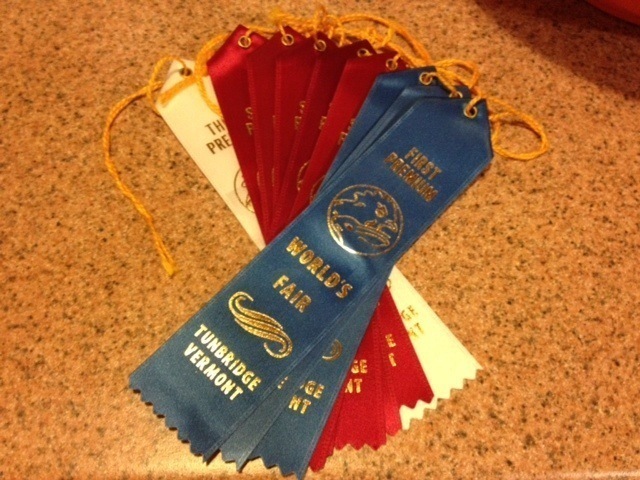 Dragon #4 – First Premium at the Tunbridge World's Fair! Among other things, I entered a dragon at the craft section of the Tunbridge World’s Fair. 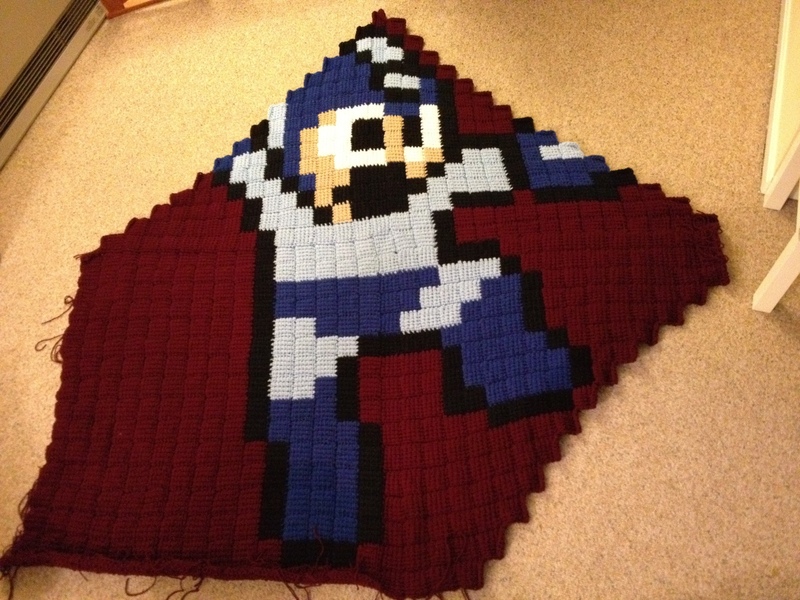 Here it is in all its glory. 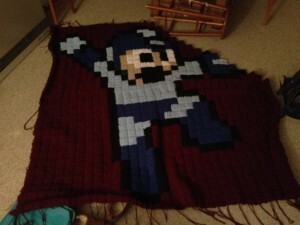 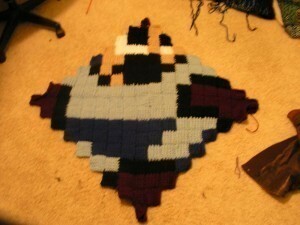 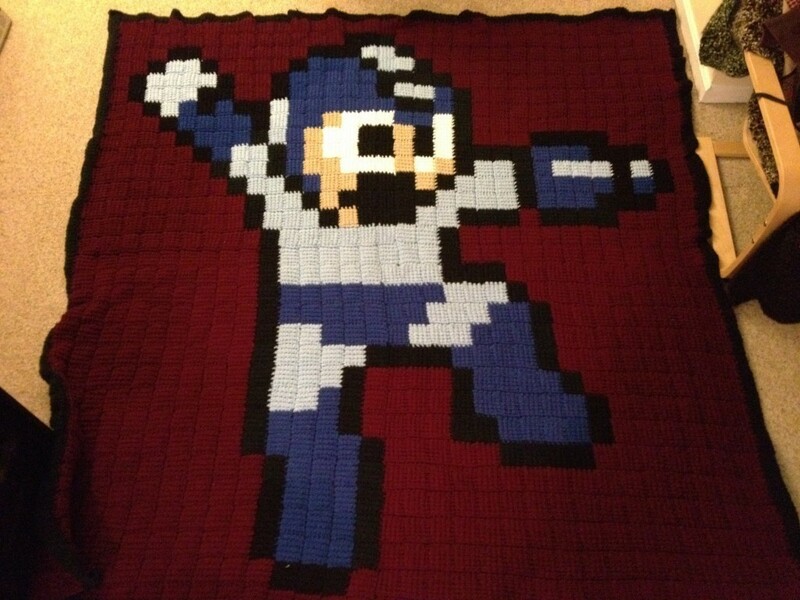 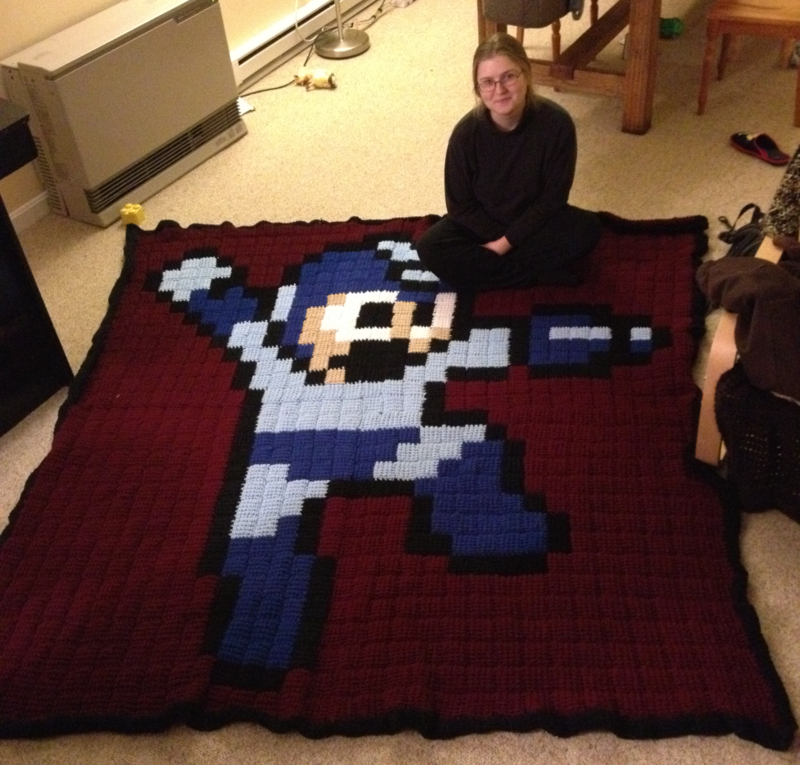 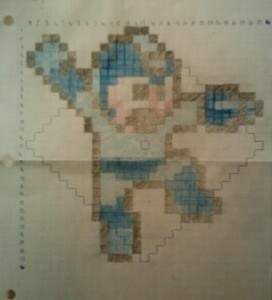 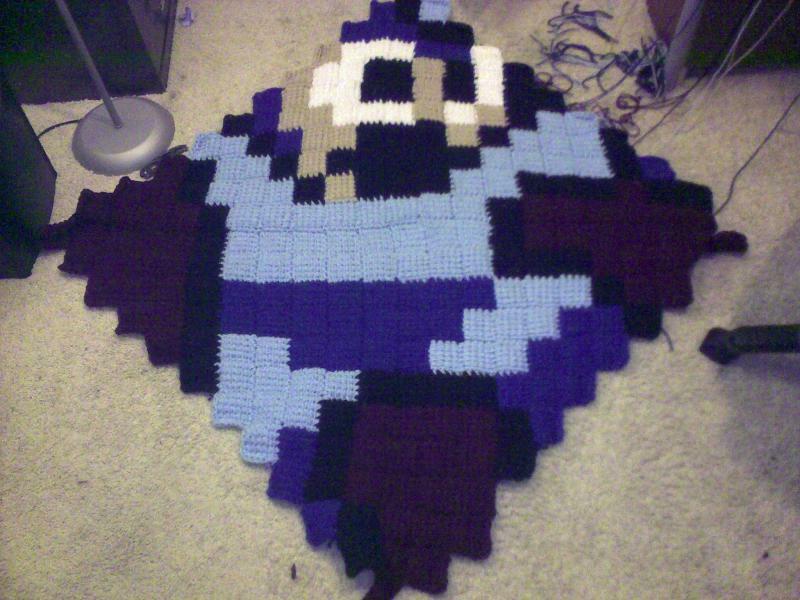 961 squares, ~30000 Tunisian stitches, countless hours of work, years on the project list & a move to the other side of the country later: the Ultimate Megaman Blanket is born.